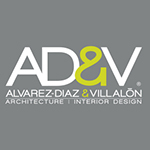 Rubenstein Public Relations has been named agency of record for Álvarez-Díaz & Villalón, an architecture and interior design firm that operates in Latin America and the US. RPR will conduct a multi-faceted PR campaign to introduce AD&V to a broader national audience and position it as a premier international firm. As part of the campaign,. Headquartered in San Juan, Puerto Rico, AD&V was directly impacted by Hurricane Maria, and is working to build resilient, sustainable and affordable housing to restore and protect Puerto Rico’s future. FWV Fetching, the pet and veterinary practice of French/West/Vaughan, has signed on to provide ongoing recruitment marketing, public relations and website management services for Vets Pets, a North Carolina veterinary hospital network. FWV Fetching has worked with Vets Pets on a series of short-term projects that have helped the company establish a new visual identity, including a new logo, tagline and website. Vets Pets serves as a management partner to over 20 veterinary hospitals in central and eastern North Carolina. The agency has also supported the launch of Oak Heart Veterinary Hospital at Longview in Raleigh through public relations, marketing, digital advertising and website development. Carolyn Izzo Integrated Communications has added Barton & Guestier Wines, Vista Encantada Spa Resort & Residences and Rancho San Lucas Real Estate to its portfolio of food & beverage, hospitality and real estate business. 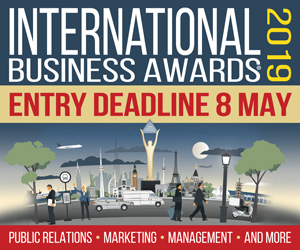 CIIC will provide influencer product seeding, media outreach and event planning for Baron & Guestier Wines. In addition to executing the grand opening campaign for Vista Encantada Spa & Resort, the agency will oversee messaging, communications, creative content development and social media for the property. For Los Cabos, Mexico resort community Rancho San Lucas, CIIC will provide strategic counsel and spearhead a campaign to generate coverage and increase consumer awareness for the launch of Norman Estates, designed and developed by golf icon and entrepreneur Greg Norman.